You can control the Google Analytics Settings by clicking on the dedicated link in the plugin right side menu. This option will anonymize the IP addresses of hits sent to Google Analytics. For some jurisdictions, this is required by law. The plugin will send the visitor’s browser’s time (hour, day, month) as Custom Dimensions. This can be especially useful if your business addresses an international audience, coming from different time zones. 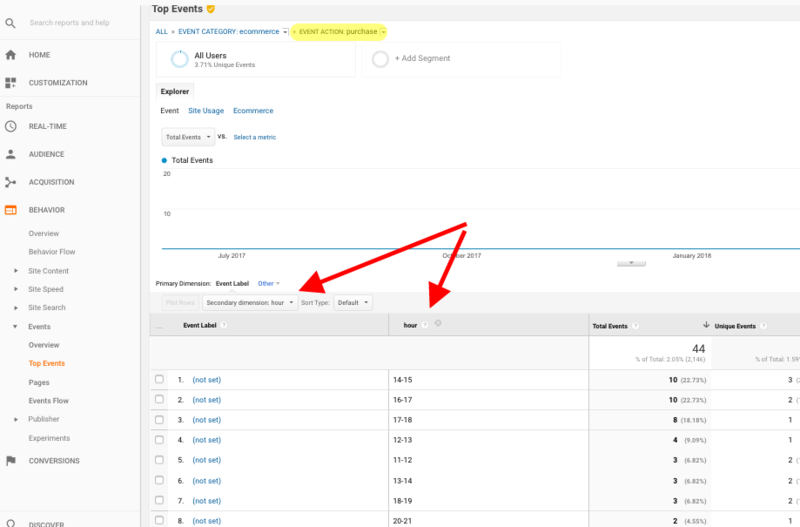 Your normal Google Analytics reports can show the time, but this will be based on the time zone configured inside your account settings. This makes it almost impossible to understand at what hour your visitors are most likely to perform a particular action. Example: Let’s say you are interested to find at what time your clients convert the most. If you have clients from across the globe, you want to know their browser’s time. Google Analytics will not report this information, but the PixelYourSite plugin will send it as a Custom Dimension. Each Analytics property has 20 available indices for custom dimensions, and another 20 indices available for custom metrics. Name – the name of the custom dimension as it will appear in your reports. Scope – specifies to which data the custom dimension or metric will be applied. Learn more about Scope. Active – whether the custom dimension or metric value will be processed. Inactive custom dimensions may still appear in reporting, but their values will not be processed. Once they are configured, your new Custom Dimensions will be available for use in your reports under the “Secondary dimension” selector.